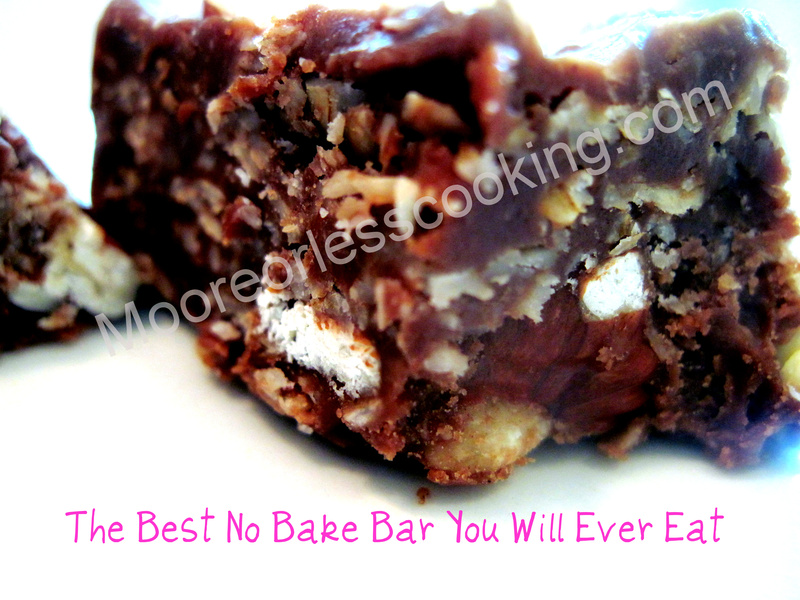 A dear friend broke her ankle, so Mom and I made her dinner for herself and her family, these bars were supposed to be included with the dinner, but time was running out, so they stayed behind, oh my goodness, these are the best no bake bars hands down. Don’t think that you can just pass them up or only eat one… I am your friend and friend’s don’t lie about such joking matters, these should have a warning label, because you will be in heaven, they are like an amazing candy bar, but so much healthier without all of those yucky chemicals and stabilizers and preservatives. Please! Make them for a party or if you have kids, make sure they eat them, or give them away as a birthday gift to your son’s adorable girlfriend!! I did! Recipe adapted from I Hear Exercise Will Kill You~ Love this name!! They are so amazing, they hadn’t set in time to give to my friend, feeling a bit guilty….yummy! Where do you get unrefined coconut oil? I attest. These bars are dangerously good. You can’t have just one. So, where is the recipe?